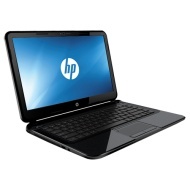 alaTest has collected and analyzed 97 reviews of HP Pavilion 14-c050nr Chromebook. The average rating for this product is 4.3/5, compared to an average rating of 4.1/5 for other products in the same category for all reviews. People are impressed by the screen and price. The portability and usability are also mentioned favorably. Some have doubts about the touchpad. We analyzed user and expert ratings, product age and more factors. Compared to other products in the same category the HP Pavilion 14-c050nr Chromebook is awarded an overall alaScore™ of 82/100 = Very good quality. Use it daily. Love the size and the speed.I feel the instructions could be alot better, but easy to use.The service was great and so was the delivery time. Product will allow me to get away from the desk.